My grandmother and I share an very intense love for all things chocolate. Cookies, cakes, bars infused with almonds and caramel – you name it, we’ll eat it. Unfortunately about 10 years ago she was diagnosed with diabetes and has made serious changes to her lifestyle to adjust for living with her ailment and to help her with this, I developed a few, recipes are not really what they are but more like assemblies, of some of her favorite desserts. 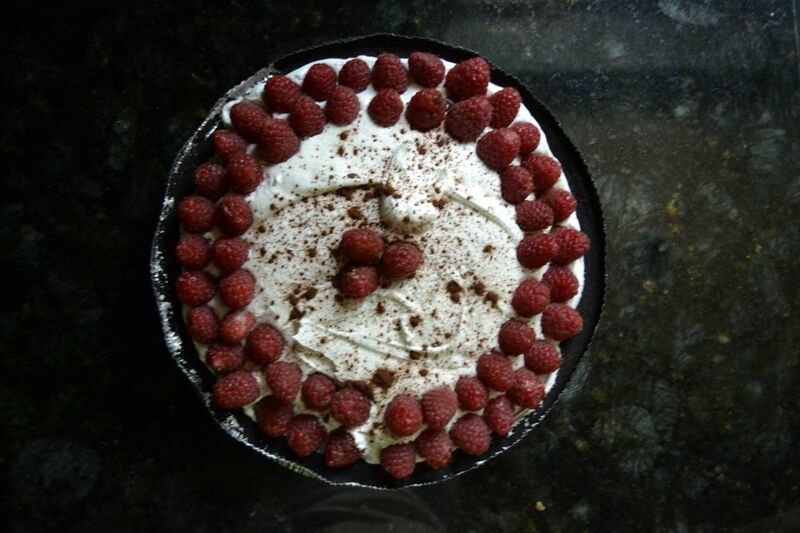 This Chocolate Raspberry Pudding Pie has become one of her favorites. Now if I were to make this recipe for myself, I would do it differently. I would make the pudding and whipped cream and cookie crust all from scratch, but for this particular purpose, I leave it to the pros to create sugar free ingredients I can throw together in a cinch. It takes no more than ten minutes to put together. Maybe look for an updated post for the real McCoy, but for now, Kimba and I are headed down to Casa Grande today to see her, and I have one of these on ice in the trunk. Active Time: 10 minutes, inactive time: 2 hours; serves 8-10. Prepare pudding according to box directions and before it sets, spoon into crust. Top with Cool Whip. 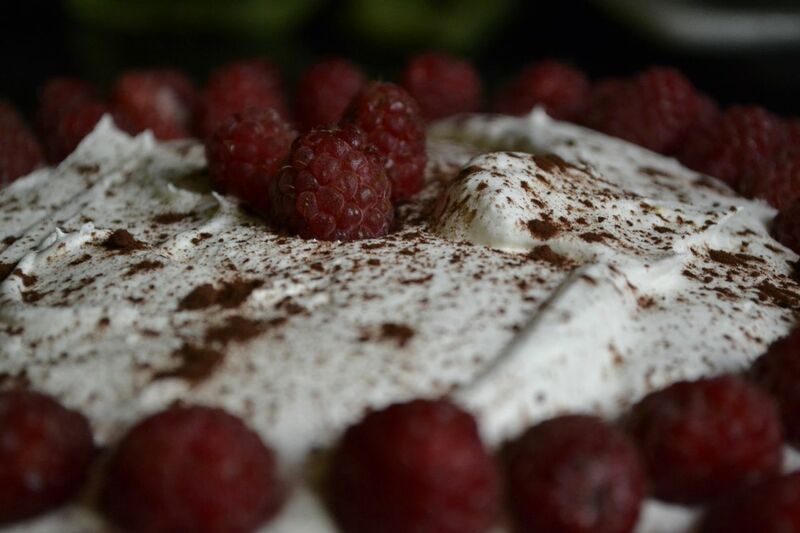 Arrange raspberries around the outside of the pie in two circular rows and dust cocoa powder on top. Refrigerate for at least two hours before serving. Enjoy!